WILLIE Mullins is the man to follow at the four-day Cheltenham Racing Festival, where the champion trainer holds a huge hand. Dominant on both sides of the Irish Sea all season, Mullins knows what it takes to win at the festival, having saddled a total of 41 winners since breaking his duck at Prestbury Park, when Tourist Attraction landed the Supreme Novices’ Hurdle back in 1995. With a battalion of top-class horses at his disposal, the Closutton maestro will have fancied runners in most of the 28 races and could well equal or surpass last year’s record-breaking tally of eight winners. Tuesday’s opening afternoon could well be dominated by the Mullins/Ruby Walsh alliance, with Min (Supreme Novices), Douvan in the Arkle, the supplemented Annie Power in the Champion Hurdle and Vroom Vroom Mag in the mares’ hurdle all short prices for respective races. Bookmakers were spared a huge pay-out 12 months ago when Annie Power fell at the final flight in the OLBG Mares’ Hurdle with the race at her mercy and should Min land the opener next Tuesday, it will spark what could be a memorable day for punters and layers alike. Despite losing such talent as reigning Champion hurdler Faugheen, Arctic Fire and Killultagh Vic to injury on the build-up to this year’s meeting, Mullins will still have a powerful team crossing the Irish Sea. Un De Sceaux in the Queen Mother Champion Chase is considered banker material by many, while Limini, who carries the colours of leading owner Rich Ricci, is odds-on to claim the festival’s first-ever running of the Trull House Stud mares’ race. Mullins is also a good man to pull off a couple of long-priced winners, so don’t be surprised if one of his so-called ‘second-strings’ upsets a more-fancied stable companion, as he is likely to have two or three runners in many of the races. CHAMPION point-to-point rider Derek O’Connor is eagerly looking forward to next week’s Cheltenham Festival and will have his first taste of the action when riding the fancied Minella Rocco for leading owner, J P McManus and top UK trainer Jonjo O’Neill in the four-mile National Hunt Chase on Tuesday. Tipped for stardom when landing a point-to-point first time out at the Horse and Jockey in County Tipperary for his then owner-trainer John Nallen in March 2014, Minella Rocco was snapped up by McManus four days later at the Cheltenham Festival sale. ‘He’s a very good horse and I’m delighted to have picked up the ride on him,” said O’Connor, when speaking to The Clare Champion earlier this week. “I went over to Jackdaw’s Castle on Monday and sat on the horse and he feels great. It’s a hugely competitive race, however, with horses rated over 145 in it, which shows the classy animals we are up against. Minella Rocco has good form, though and I expect we’ll be competitive. With a bit of luck in running, we should be there or thereabouts and I wouldn’t swap my mount for anything in the race. He’s only a six-year-old and is improving all the time, which is just the type needed for this kind of event,” he added. O’Connor, who rode his 32nd point-to-point winner of the season when successful aboard Sam Curling’s BL Swagger in the open lightweight at Lismore last Sunday, still has not finalised his mount in Wednesday’s Kim Muir Chase. Friday is Gold Cup day and O’Connor will be aboard Northern Ireland raider Chosen Dream in the St James Place Foxhunter’s Chase. 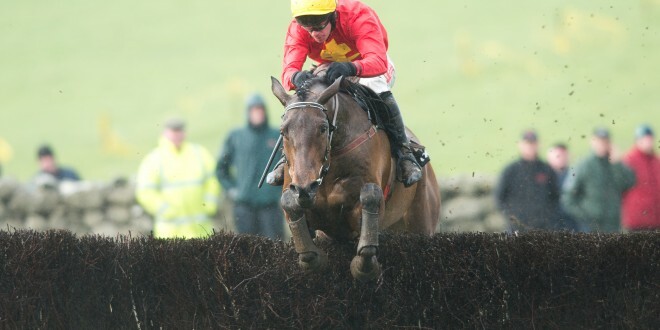 “He’s a very good point-to-point horse and he’s won plenty of open races for his trainer Graham McKeever. 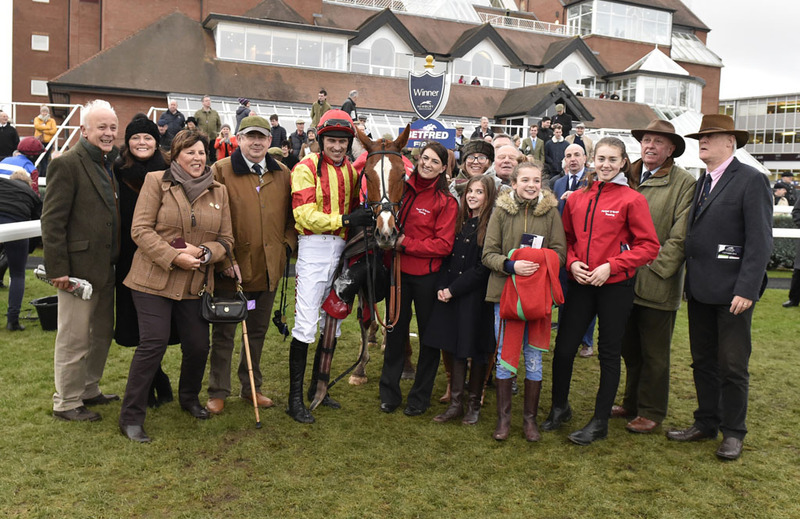 I’m not sure he’s good enough to win a race as competitive as the Foxhunter’s but he jumps great and should give me a great spin,” concluded award-winning O’Connor. FOR many jumping enthusiasts, the Gold Cup is the highlight of the week at Prestbury Park and next Friday’s renewal is a fascinating affair. Gordon Elliott’s Don Cossack is currently heading the market at 4/1 and his supporters will point to the fact that he was running a huge race when falling two out in the King George at Kempton over Christmas. The Gigginstown House runner has since had a confidence-boosting outing against vastly inferior opposition at Thurles and the fact that Elliott’s yard is bang-in-form is also a plus. Bryan Cooper will have the final say in which Gigginstown horse he partners in the race. He also has the choice of Don Poli from Willie Mullins yard, and his decision – difficult as it may be – will influence punters. King George form may also play a big part where the next two in the betting are concerned. Vatour ran a blinder when second at Kempton with Ruby Walsh, having sent his mount to the front a long way from home at the London track. At the business end, he was mugged on the line by Cue Card but is well fancied by his trainer Colin Tizzard to land Chasing’s Blue Riband. A wind operation seems to have worked the oracle with Cue Card and he has the added bonus of having won over Cheltenham’s unique terrain. Willie Mullins has never won the Gold Cup – he has finished second in it five times – and the champion trainer will be hoping to put that right this time round. In addition to the aforementioned Don Poli (who has won at two previous festivals), Mullins has a serious contender in Djakadam. He fell on his previous visit to Cheltenham at the end of January but is reported to be none the worse for that mishap and he ran a blinder when second to Coneygree 12 months ago. Mullins has a further dart to fire in Valsuer Lido, who unseated Ruby Walsh at the final fence when leading in the Irish Gold Cup at Leopardstown last month and Walsh’s choice of mount will be interesting. Tuesday’s Stan James Champion Hurdle was thrown wide open when reigning champion Faugheen met with a set-back, which forced him to miss the race. In his absence, there are quite a few in with a shout. Nicholls Canyon looks the best of Mullins’ representatives, while Identity Thief has solid form for Waterford trainer Henry De Bromhead. The New One and My Tent Or Yours will be doing their best to keep the prize at home in what looks an intriguing contest.